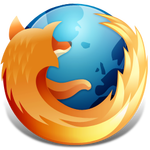 Vendor: Mozilla Sold by: Amazon Web Services, Inc.
Mozilla Firefox is a free and open-source web browser using the Gecko layout engine to render web pages, which implements current and anticipated web standards. This software runs in a virtualized application container designed for Amazon WorkSpaces. You will need to have set up Amazon WorkSpaces and provisioned a WorkSpace for each user that will need to use this application. Learn more about Amazon WorkSpaces. Please click Continue to sign into AWS. You will have an opportunity to review the End User License Agreement and pricing details for this product before subscribing. Each subscription is activated and charged the first time a user launches an application within Amazon WorkSpaces and will renew monthly until access to the application is removed for that user. Amazon WorkSpaces usage is charged seperately as detailed below. You will be charged $0.00 for each user assigned to the application. Amazon WorkSpaces provides the flexibility to pay monthly or hourly. Hourly billing consists of an hourly rate charged only when your Amazon WorkSpaces are running, and a fixed monthly fee for infrastructure costs. Click here to view Amazon WorkSpaces pricing details.